The Bluefin tuna should be on the endangered species list but it's not because apparently Japan and China have bribes to keep it off. How effed up is that!? The tuna will likely go extinct soon if people don't stop eating it. 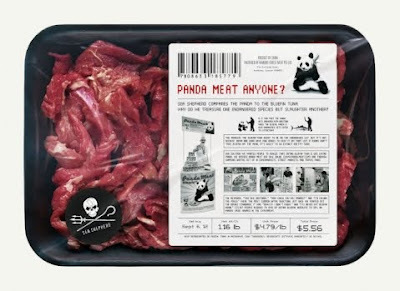 So, Ogilvy, Singapore is bringing awareness by selling "panda meat."